The LDEQ's emission reduction credit (ERC) banking rule allows emission reduction projects to be applied to mobile sources such as: trucks, marine vessels, and trains. This ERC banking strategy will help mitigate constraints to air quality improvement and economic development in the Baton Rouge area. Any organization can generate emission reduction credits through funding or implementing projects that reduce certain air pollutants. These credits can then be used as required offsets for permitting of new projects, or they may be sold or traded. Through this strategy, local air quality will be improved due to reduced emissions, and economic development will be facilitated due the greater availability and reduced costs of emission reduction credits. To make ERC projects and information more accessible, CRPC and BRCAC created the Emission Reduction Credit Information Resource Center. Funds provided by CRPC for this effort were augmented by a 20% match from the Baton Rouge Area Chamber, which recognized the potential of the Center for promoting local economic development. See below for more information about these three organizations. The Capital Region Planning Commission is the Baton Rouge area's designated Metropolitan Planning Organization (MPO), which each metropolitan area must have in order to carry out regional transportation planning efforts and receive federal highway funds. As the regional MPO, CRPC focuses its resources on transportation planning, land use, economic development, and transportation safety issues and activities. 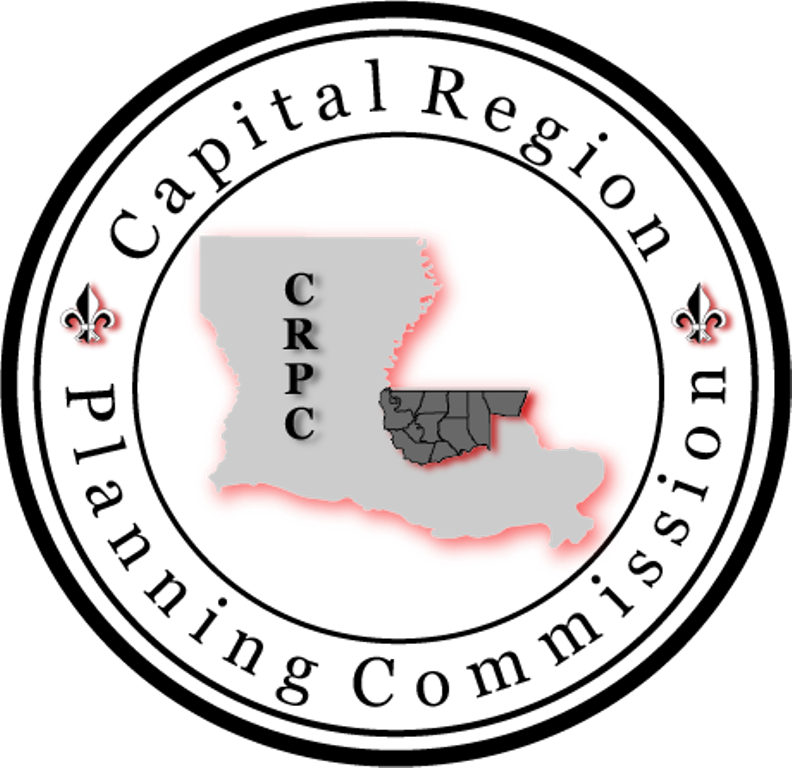 In addition, CRPC is one of eight sub-state planning and development districts which cover 64 parishes in the state of Louisiana. Toward that end, CRPC provides technical assistance for economic development, comprehensive planning, and zoning to its members. For more information, visit crpcla.org. BRCAC is a coalition of local governments, state environmental agencies, businesses, industries, academic institutions, and civic organizations committed to improving air quality in the greater Baton Rouge area through voluntary actions and reasonable, effective regulatory actions. The organization’s goals are: (1) to improve air quality through voluntary actions; (2) create public awareness and promote individual responsibility through education; and (3) provide credible measures of air quality improvement efforts. BRCAC works as a partner with the Louisiana Department of Environmental Quality to improve air quality in the Baton Rouge area. Along with the DEQ, BRCAC is a proud sponsor of the local Ozone Action Program, which is a voluntary, community-based program designed to reduce ozone-forming emissions caused by vehicles and other sources during the summer months. Additionally, BRCAC has recently partnered with the Capital Region Planning Commission and Louisiana Clean Fuels to represent the Baton Rouge area in the Environmental Protection Agency's new voluntary Advance Program designed to develop and implement innovative ozone and particulate matter mitigation measures for the area. More information, visit brcleanair.com. BRAC's mission is to lead economic development in the nine-parish Baton Rouge Area. From assisting existing businesses and recruiting new ones, to securing victories for critical public policy reforms, BRAC continues to be a trusted advocate and change agent for the region's business community. BRAC's vision is for the Baton Rouge Area to be one of the leading economies and premier business locations in the country, growing and attracting talent with its unique culture, vibrant communities and beautiful spaces. To further their mission, BRAC provided a local match to the LAERC program. To learn more, visit brac.org.